Check it out: Keene Sentinel published John's opinion piece about the Change Out Program there. Consumer Reports has only reviewed pellet stoves once - in their October, 2009 issue (pages 26-28). There are precious few independent, objective reviews of pellet or wood stoves so this is a very welcome development. They reviewed six and recommend two. The Alliance for Green Heat also reviewed 6 stoves in 2015, including two of the ones reviewed by Consumer Reports. 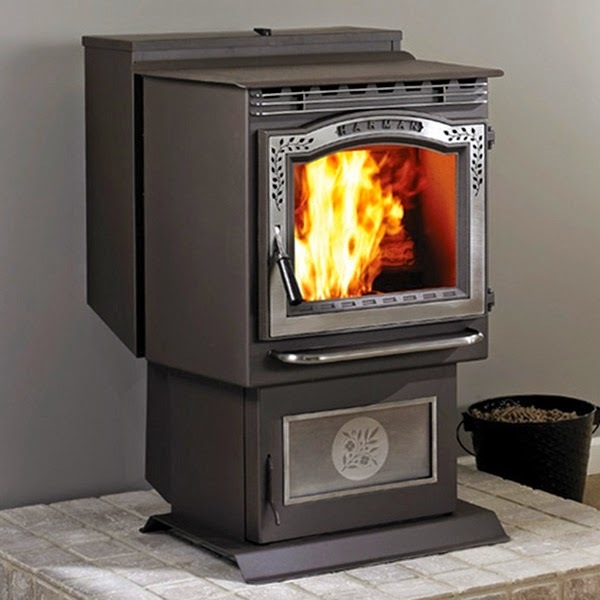 Click here for the 2015 rating of pellet stoves. The Alliance tested for cleanliness, efficiency, maintenance, heat output and glass visibility. And click here for Six tips to buy the right pellet stove. While the stove ratings appear fair and objective, Consumer Reports (CR) did not test for or list information that is very important for consumers. For example, they didn't list the emissions ratings, though these independent, third-party ratings are easy to look up online. While pellet stoves generally are very clean, and much cleaner than woodstoves, some are lots cleaner than others. They also did not touch on the issue of efficiency, which is extremely important with pellet stoves because they range from 50 – 80% efficiency and most manufacturers refuse to release third party efficiency numbers to consumers. Instead, most stove manufacturers calculate their efficiency using a variety of non-standard methods and often exaggerate the results, leading consumers to think they are purchasing a high efficiency appliance when in fact they may be purchasing a pellet guzzling one. Some wood and pellet stoves now do have third party verified, actual efficiency ratings. But when it comes to pellet stoves, misperceptions persist, year and year. Consumer Reports did not mention which stoves were EPA certified and which aren't [as of 2016, all new pellet stoves must be EPA certified]. EPA certified pellet stoves tend to be higher efficiency. As of May 2014, all the stoves rated by Consumer Reports were EPA certified except for the Napoleon NPS40, one of the higher ranked stoves. The manufacturer confirmed in 2009 that it had not been emission tested but as of May 2014 a slightly modified version of the same stove tests at 2.4 grams an hour. Prior to 2016, many manufacturers designed their pellet stove in a way that it doesn't have to be certified by the EPA. But by avoiding EPA certification, these designs usually lower the efficiency of the stove between 10 and 30%. Also, Consumer Reports did not test for fan and augur noise. That is a common complaint with pellet stoves and an outfit like Consumer Reports is perfect for that kind of testing. Consumer Reports also gave extremely short shrift to pellet stoves as a low carbon, renewable energy appliance. It did not say how much carbon could or would be offset by limiting use of a fossil fuel furnace. And, while it gave maximum payback times, it did not give best case/minimum payback periods, which can be in the 3-4 year range, depending on how much of what type of fuel is avoided. However, Alliance for Green Heat believes that the stove ratings are fair and very useful for consumers. We only wish that next time, they test for emissions, efficiency and noise and that they mention the environmental benefits of using a low carbon fuel to replace fossil fuels. Here's a summary of the ratings. The review in the magazine has more details. (Pellet stoves may be eligible for state rebates or tax credits in New York, Maine and Maryland and elsewhere. 1. The highest ranking is a Harman P68 which got 87 points and costs $3,900. Harman is a recognized leader in the industry and is known for quality. (Emits 1.8 grams of particulate per hour). 5. The Quadra-Fire Castile received 64 points and cost $2,700. (Emits 0.8 grams per hour). 6. Summers Heat (55-SHP10L at Lowes) also sold at Home Depot under the Englander brand received 58 points and cost $1,300. (Emits 1.6 grams per hour). Click here for an in-depth and educational review of reliable pellet stoves. The EPA is gearing up to revisit its woodstove emission policies (NSPS) for the first time since the late 1980s. The next year is vitally important for the wood burning community in America and is an unprecedented opportunity to not only advance wood burning technology, but to modernize the way we think about wood heat and develop a vision for the future. Why shouldn't we envision near zero emission wood heating appliances? How can wood get the same tax credits as wind and solar? Can we overtake Europe as the world's leader in clean, low carbon wood and pellet heat? These are not pie-in-the-sky questions. A few years from now we could have electronically-controlled gasification wood and pellet stoves in our living rooms. These modern stoves would significantly lower emissions and increase efficiency compared to products that are now on the market. And with even a fraction of the support that our government has provided renewable biofuels, like ethanol, these appliances could provide affordable renewable heat to the average American. This process could gain momentum with the EPA review of its emission policies next year. Even without incentivizing the next generation of wood stove technology, the cleanest biomass appliances on the market today deserves parity in tax credits with other renewable technologies. While most states give generous tax credits for wind and solar, those tax credits primarily benefit the wealthy who can afford the high up front costs and long payback periods. Meanwhile, millions of poor and middle-income families have been using low carbon wood heat and have not yet fully switched over to fossil fuel heating. Yet, only rarely do they get tax credits to upgrade to modern, clean burning wood heat. Per dollar invested, wood heat can lower a family's carbon footprint much faster than solar or electric. It’s time for states to help poor and middle-income families to change over to modern, clean biomass systems and not just help wealthier families adopt what are often less efficient solar and wind systems.